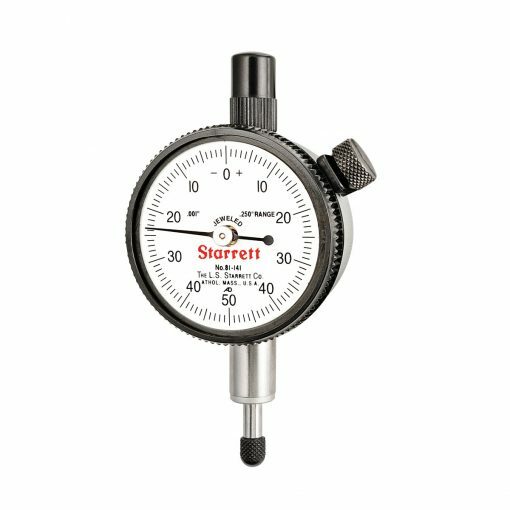 The Starrett 81 Series Dial Indicator has a shockless, hardened steel gear train and jewel bearings. It is furnished with a lug-on-center back. Antimagnetic and special non-shock mechanisms are options available for all models. .250” Range, Dial Reading 0-50-0, .001” Grad.